Guide Everyone's Attention Onto Your Display - With a Banner Light, your display will stand out and grasp the centre of attention without any extra efforts. 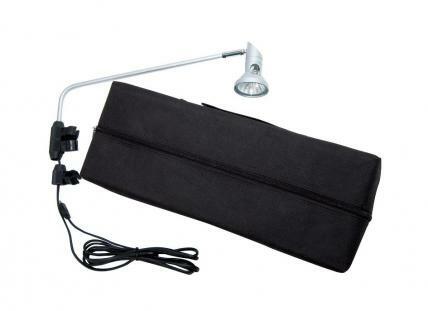 Easy To Install - Simple clamp onto the banner pole and plug in, you are ready to go! Fits all Retractable or Non-Retractable SPACE Banner Stands - The clamping lock on each light fits our banner pole perfectly. You will have all the flexiblility needed for your display.